During the business conversation, Roman Krasnov introduced the history and traditions of Ural State University of Economics to the diplomat. He focused on the main areas of training at USUE, in particular, on training programs offered by the Institute of Trade, Food Technologies and Service. As part of the upcoming visit timed to X EEYF, it is planned that the delegation from the Republic of Peru will discuss with USUE top management the training of foreign students at the USUE Institute of Trade, Food Technologies and Service. 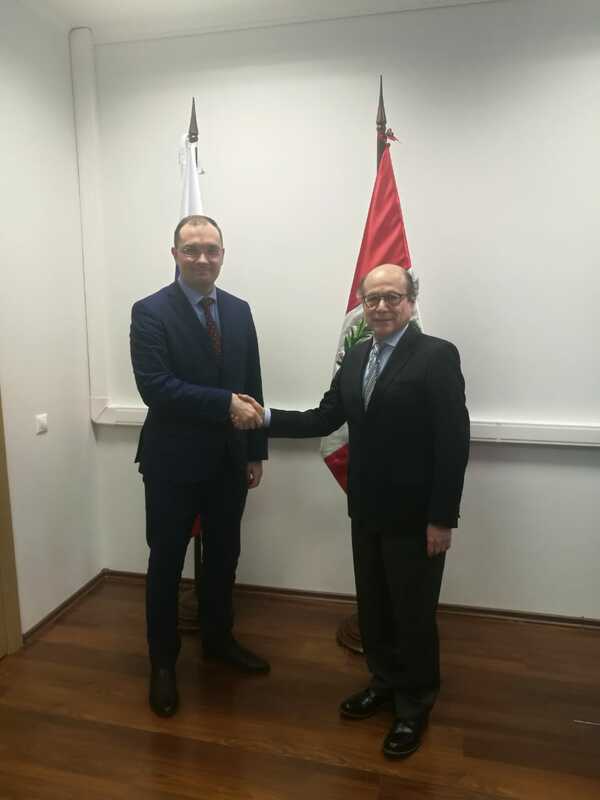 The dialogue of USUE vice-rector Roman Krasnov and the diplomats resulted in the achieved agreement of the Peruvian and Vietnamese delegations to take part in the X Eurasian Economic Youth Forum scheduled for April 16-19, 2019.